Using IGBT modules and advanced welding current waveform control technology. Low spatter and higher performance welding. Crater "on / off function, crater voltage and current are adjustable. Protection function : Single Phasing, over heating, over current, under voltage. High efficiency of machine's output. Application : welding with mild steel, stainless steel and aluminum. 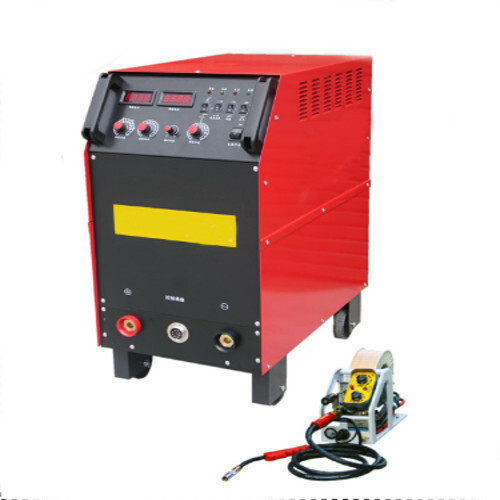 MIG Welding Plant includes seperate Wire Feeder Unit (2/4 roll quick release), MIG welding torch, CO2 flow meter with pre heater with all inter connection cable and hose assembly.